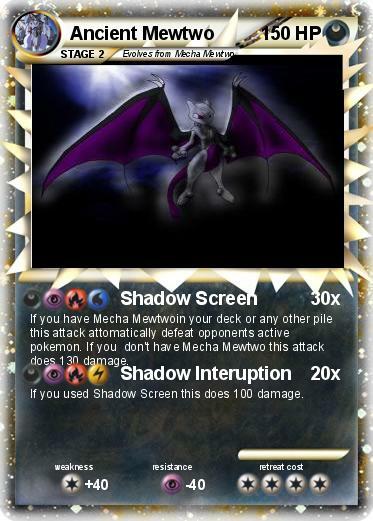 If you have Mecha Mewtwoin your deck or any other pile this attack attomatically defeat opponents active pokemon. If you don't have Mecha Mewtwo this attack does 130 damage. If you used Shadow Screen this does 100 damage.